NatraTex Cotswold decorative paving used in a small Cotswold town complimenting the surrounding area. MUGA surfacing is very important to “grass roots” level sports participation. A place where children and teenagers discover their talent for a sport inspired by international events. 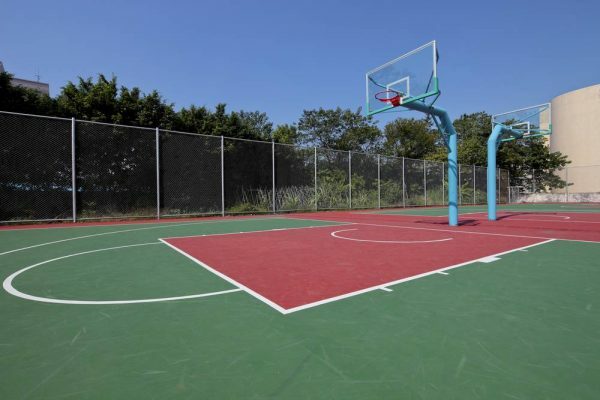 It provides a place for activity and exercise. 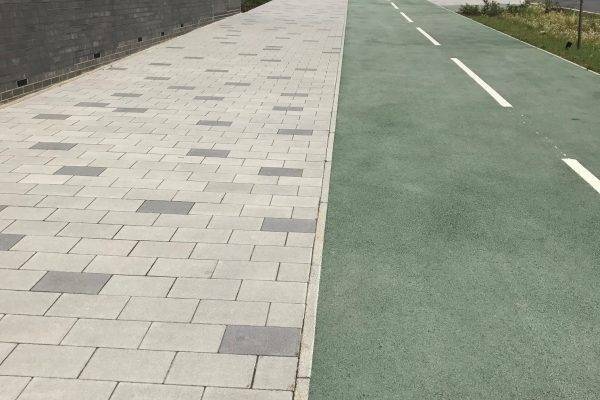 Resin bound aggregates are not the only option when it comes to coloured paving. 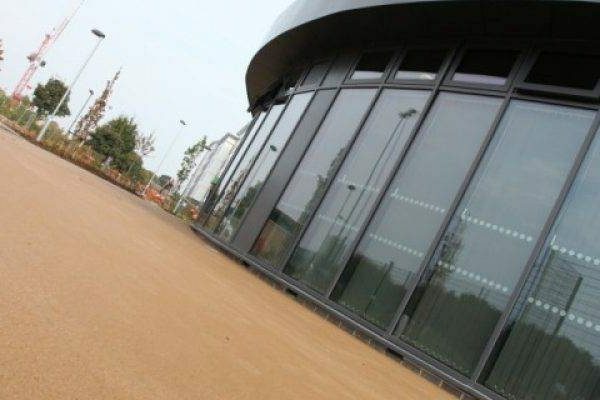 NatraTex Cotswold and the collection of hues and tints within the NatraTex Colour range deliver outstanding results in varied locations across the UK. Park footpaths are the ideal route for a Spring time stroll and to enjoy the beauty of the season. Lighter mornings, sunny evenings and a rise in temperature lifts the spirits. A park is a great place to get outdoors and appreciate beautiful surroundings. 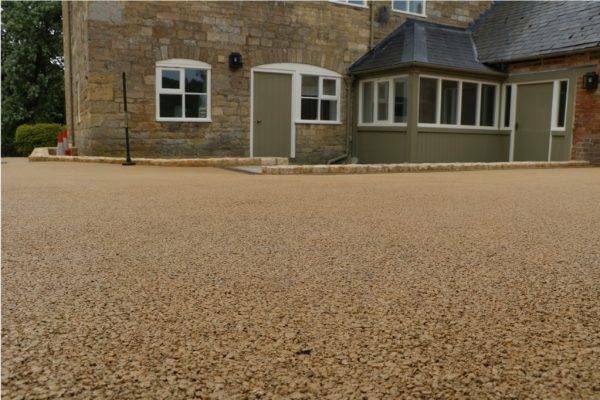 NatraTex was called to introduce its flagship product NatraTex Cotswold to a landscaping scheme at a private estate in Chertsey. 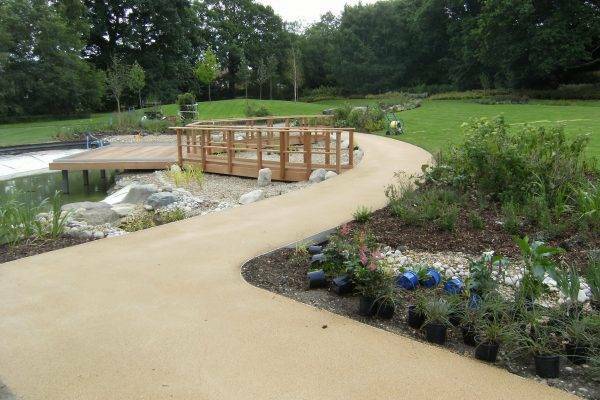 Coloured paving is an important element of planning and landscape architecture. 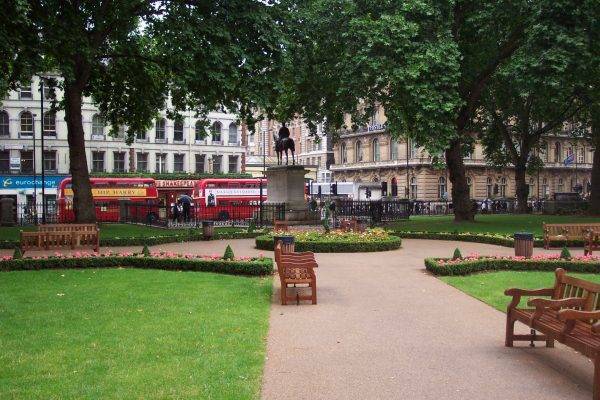 NatraTex coloured paving has enhanced public and private spaces across the United Kingdom. 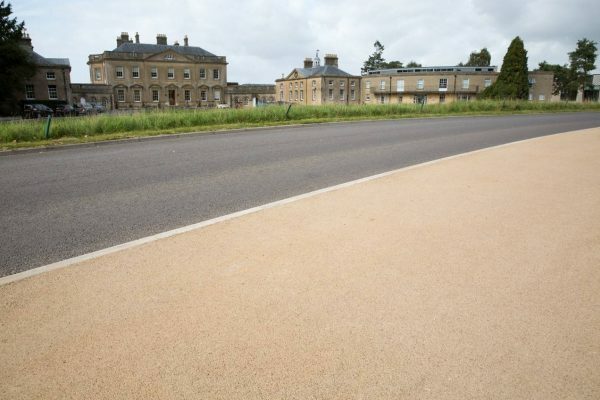 Bath Spa University needed to establish new footpaths at their Newton Park Campus where they chose to use NatraTex Cotswold.